Feels unbelievably cold for the time of year in Dublin 5. Enjoying the last of the cold mornings until the end of October. Going to miss them, pity we didn't get many this winter. Snow shower in Galway West early this morning. Big wet flakes. 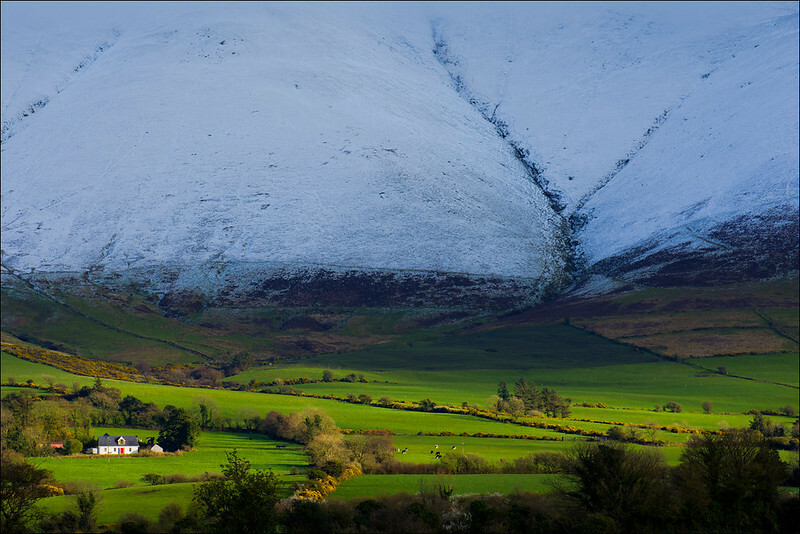 Great photo of Galtymore. That snow line must be around 150-200m. hail. gale.. no change. ah well. has to stop sometime? Thanks. 550m of great snow trekking to the peak. PHOTO OF THE YEAR SO FAR.. 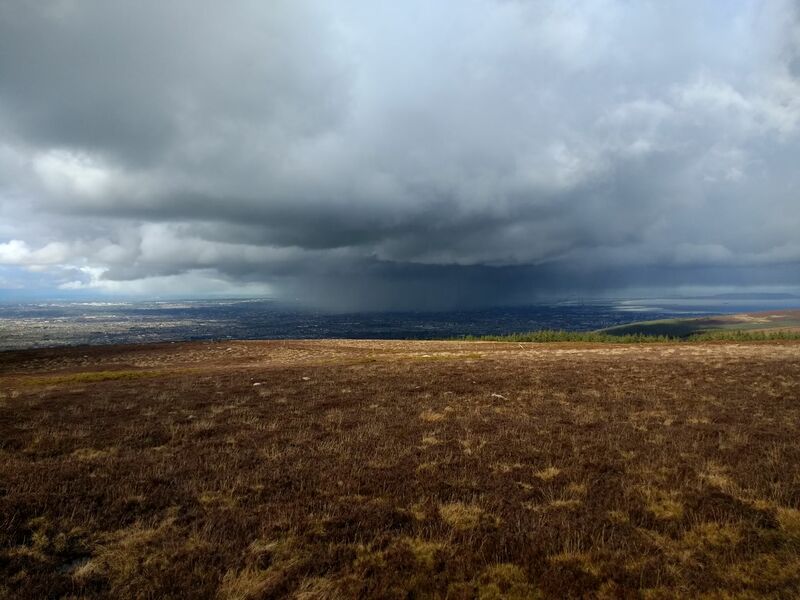 Here's a little video (10x speed) taken from the Dublin mountains of that shower passing over the city earlier. Taken from phone perched on a rock held up by smaller rocks, wish I had some proper gear with me! Here's a photo taken before the video. Who is allowing this weather, is winter not banished now till next November.